Terapeak and Alibaba – two topics that I talk about often on this blog. And for good reason – combined, they are the ultimate tool for researching, sourcing and ordering profitable products to sell on eBay. And that’s why I was very excited to see that Terapeak has introduced a new feature for Professional subscribers – a tool that integrates with Alibaba called “Source”. But what exactly does this new feature do? Well that’s what we’ll be looking at now! 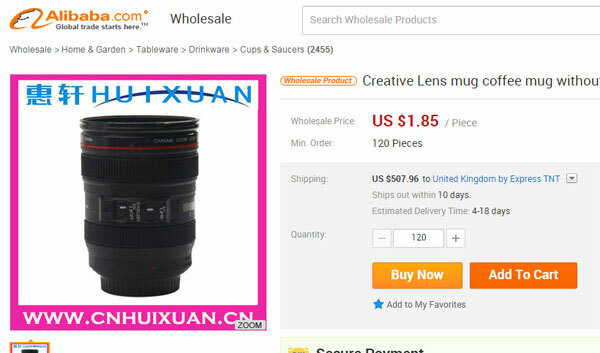 As you can see, we get our results with a product picture, the Alibaba listing title, and a min & max sourcing price. 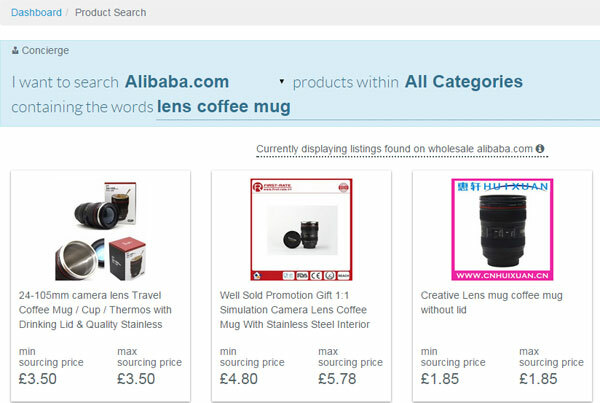 One other very important point I noticed – if you look closely, just above the search results, it says “currently displaying listings found on wholesale alibaba.com” and this means that rather than searching the traditional, main Alibaba site, Terapeak is instead searching for products via Alibaba Wholesale Checkout. I’ve already talked about Alibaba Wholesale Checkout in detail in a previous blog post, so if you aren’t familiar with it, please take a look at that for a full overview: What Is Alibaba Wholesale Checkout? But basically, Alibaba Wholesale is the middle-ground between Alibaba and AliExpress, in terms of pricing and MOQ. Another important difference between Alibaba and Alibaba Wholesale is that on the wholesale section, all the necessary information is given within the listing (such as price, MOQ, shipping details, reviews etc.) and you can make an order without having to contact the supplier. And that’s why I’m very happy that Terapeak has chosen to use the wholesale search results, rather than the main ones, as this was actually the first thing that occurred to me when I initially heard about this new feature – as we all know, the information given in the main search results on Alibaba is only useful as a guide and you really need to contact the supplier to get definite and exact pricing, MOQ, and shipping details. So using these results would have made the new feature useless from the off, as the information wouldn’t have been accurate enough to use to make sourcing decisions. Well done Terapeak for thinking of this! But now, let’s get back to our search results. 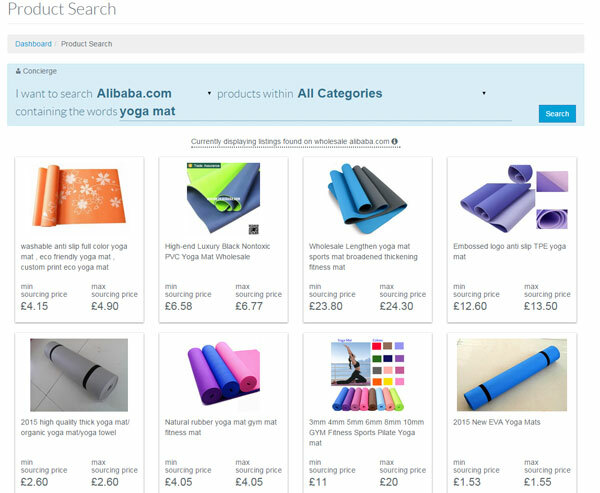 Now for this next part, I’m going to use a new search, as there is such a variety for yoga mats, in terms of size and quality, which makes it a bit harder to use for such a comparison. The price shown doesn’t include shipping. So right away the usefulness of the Terapeak search results is being called into question, as once again the pricing is really only an indicator and I have to click-through to get accurate information. 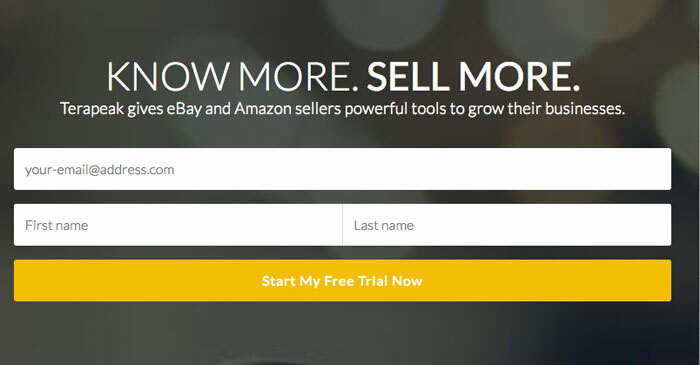 I tested this feature on a number of different products and searches and Terapeak makes some automated adjustments to your search, in order to give the best results. Basically they remove unnecessary keywords from the description and only search using what’s remaining. And as we all know how ridiculous some of the Alibaba listing titles can get, this is well thought out by Terapeak. You may still need to make some adjustments yourself of course, but it’s a nice touch nonetheless. There’s not much more to go over here, as it’s the same Terapeak Product Research tool that we’ve used hundreds of times – you have all the same information and everything works exactly as if you’d searched manually. So does this new Source tool actually gives us any advantages? Well that’s a good question, and one that there isn’t really a clear answer to… and really that sums up my thoughts on the whole towards this new introduction by Terapeak. Yes, it works well (in most cases) and I can see what they’re trying to achieve, BUT does it really offer a clear advantage/benefit over simply conducting your research on Terapeak and Alibaba separately? And I have to say, my answer is not really, at least not right now. The goal here is to create a seamless integration between eBay, Terapeak, and Alibaba but my overall conclusion is that’s it’s not quite there yet, as there is still the need to access Alibaba separately. It’s definitely a very useful tool for those that are new to Alibaba, but if you’re a reader of this blog, then that’s not you! Having said that, I am still very pleased to see this introduction from Terapeak as the tool itself will only improve in time, and it’s a great sign when a company is adding new features instead of just resting on their laurels. This is particularly true in Terapeak’s case, as they are so far ahead of anyone else when it comes to eBay data, and considering the fact that they have already introduced some big improvements earlier this year (you can read my full review on all of that here Terapeak 2.0 is AWESOME!). I’ve said time and time again that I cannot imagine running an eBay business without a Terapeak subscription and at less than £10 a month on their annual plan, I already consider it to be terrific value for money. Any additional features they introduce is simply icing on the cake! What about you – what do you think of this new tool by Terapeak? 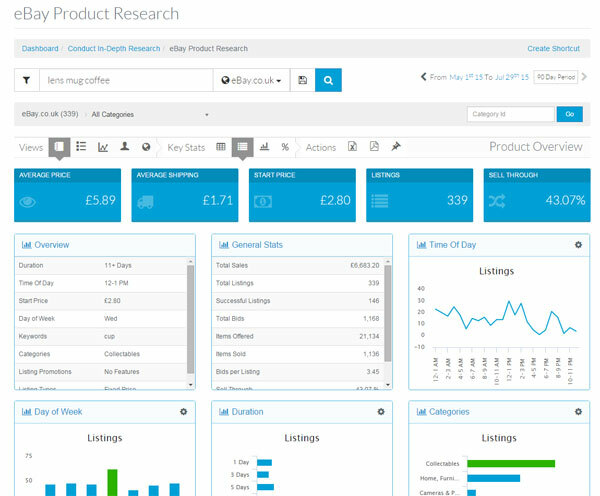 Has it made your product sourcing even easier or did you not even notice it had been introduced? 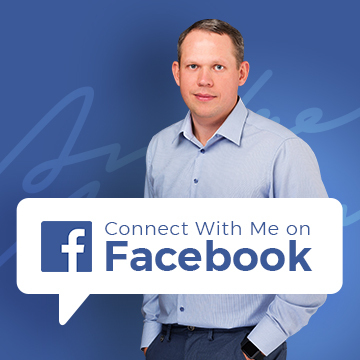 Either way, let me know in the comments section below, as I’d love to hear your thoughts. With regards to the Terapeak + Alibaba tool, when you click “Source from Alibaba” from a item in the hot list, it redirects you to wholesale.alibaba, but only to return with products that are only “similar” to the product from the hot list selection. Im not sure if its clearly that its not available, or maybe i may be missing something, wrong products maybe? Is it a case of just digging deeper to find an item that is clearly available when you press the “Source from Alibaba” button? From which location exactly you’re doing this? As there are many options to view Hot products. In most cases though, if you’re not getting precise results it’s because the item title (keywords) are a bit off. Terapeak bases most results on keywords in listing titles and sometimes they may not be that logical when put together and searched for on Alibaba for example. 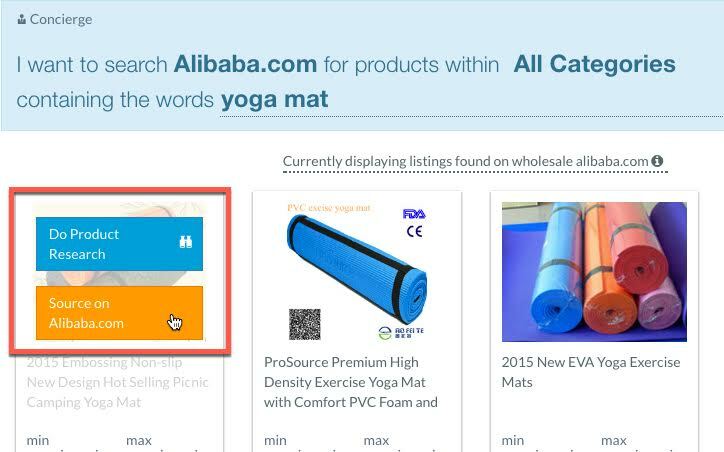 So you would want to adjust the title – product name when you search for that product on Alibaba website to get most accurate results. I started from the Terapeak home page after you sign in, i selected product search, entered some keywords & searched the Terapeak hot-list. I can now see the keywords that Terapeak has selected for me up in the Alibaba search box, but i still cant seem to expose any identical items? 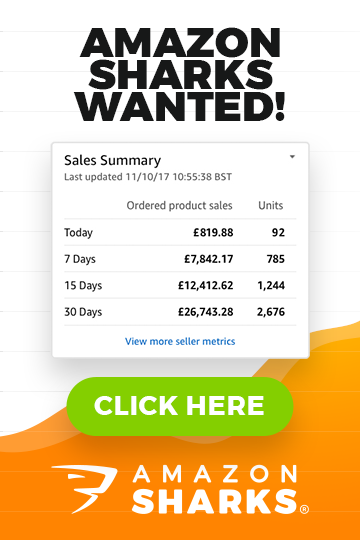 I’m looking for some new hot items that don’t have 8 pages of UK competition ! : ) Buying power isn’t huge which is why I’m looking for smaller items. Could a professional Terapeak subscription expose these, or should i be able to do more, or is there more to learn from the free version & Ebays sold / completed listings search? You def. need to upgrade to professional version of Terapeak as inly with pro account you get access to in-depth eBay research tools in Terapeak. That’s great thank you for your help Andrew, just a little reassurance !